‘The Watcher’ in Camden Town. This work proved somewhat controversial from some quarters who deemed this piece to be racist, failing to understand the message behind this work. 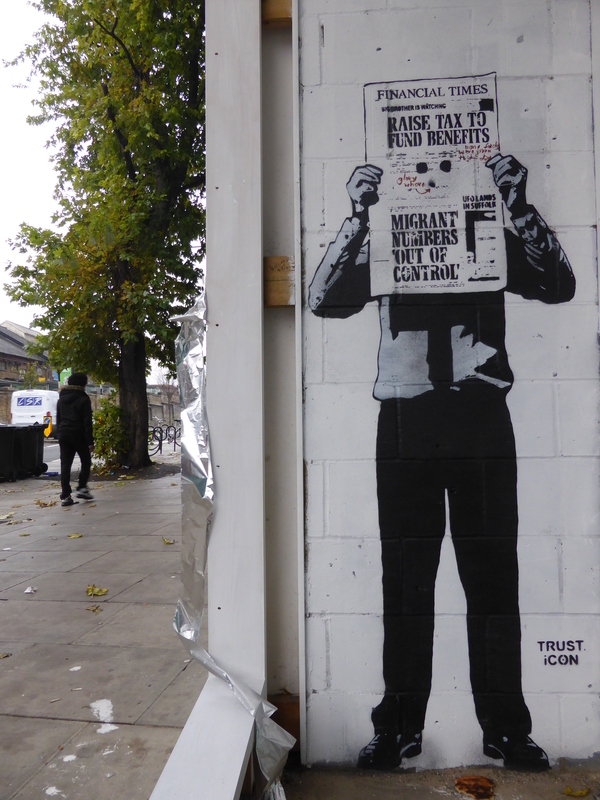 The man in the piece is reading a newspaper featuring some topical headlines (the seeming source of the animosity this work received), however the man in question isn’t reading the paper, he is peeping through it. The work sets to comment on the Big Brother government watching us and hand feeding us information that is set to distract from what is really going on. This is illustrated through the newspaper headlines which are at first glance the focus of the piece, however it is what is going on behind the initial scene that is of true concern. This work was put up with support from The Real Art of Street Art. 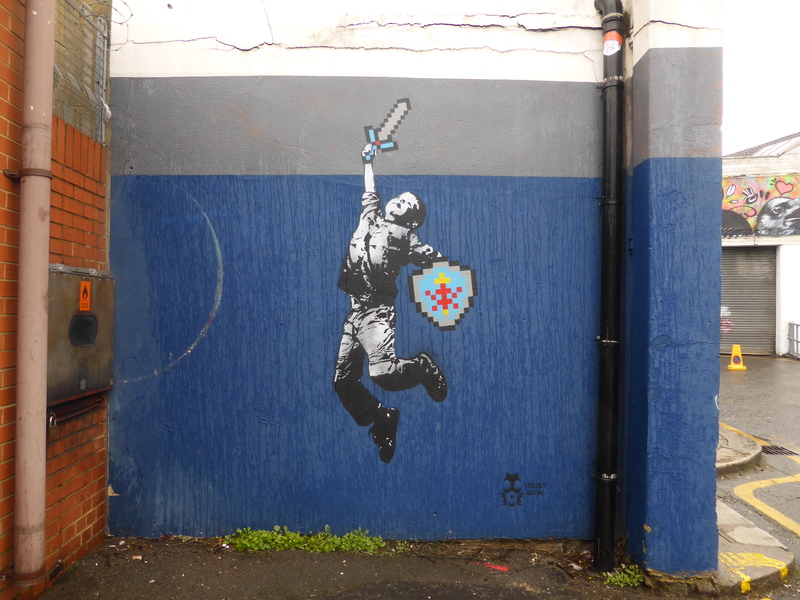 ‘Link’ in Latimer Road. 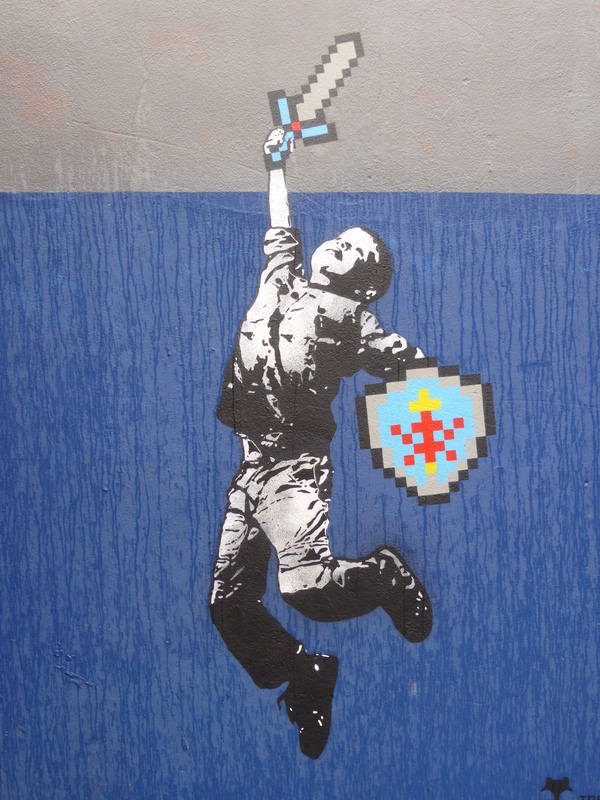 A work playing on the character Link, the leading protagonist from Nintendo’s long running series Zelda, however the character has been switched for an everyday child, suggesting that anyone can be the hero of their own realm.